Oxford University’s gardens, libraries and museums enjoyed a 13% rise in visitors in 2017, according to the latest figures from the Association of Leading Visitor Attractions (ALVA). This compares with a 7.3% increase for UK visitor attractions as a whole. More than 3.2 million people visited the University’s six cultural attractions: the Ashmolean Museum, Bodleian Libraries, Botanic Garden, Museum of the History of Science, Museum of Natural History and the Pitt Rivers Museum. The double-digit increase means that, for the first time, three Oxford sites – the Ashmolean, Bodleian Libraries and Museum of Natural History – are in the top 50 most visited attractions in the UK. Oxford is the only institutional group to achieve a top-50 trio, and collectively the group now ranks in the top 10 of UK visitor attractions, ahead of Royal Museums Greenwich and National Museums Scotland. The Ashmolean welcomed 938,000 visitors in 2017 – a year which saw Britain’s first public museum celebrate the 400th anniversary of the birth of its founder, Elias Ashmole. The Bodleian Libraries saw a 25% increase to over 771,000 visitors, driven by the huge popularity of the Weston Library, which opened to the public in March 2015 and offers exhibition galleries, a café and shop in the heart of the city. The Museum of Natural History saw a 15% increase to 768,000 visitors – its most successful year ever – with record attendance achieved for 13 months in a row. 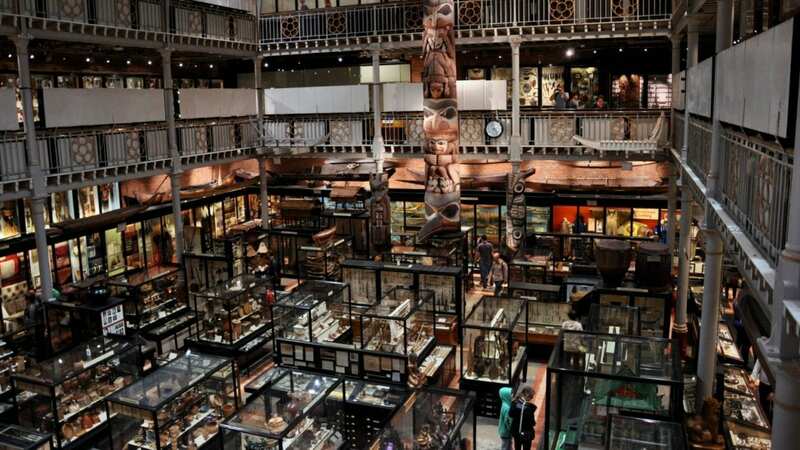 Record-breaking visitor numbers were also enjoyed by the Pitt Rivers Museum, Museum of the History of Science and the Botanic Garden. The Pitt Rivers attracted 481,000 visitors, an increase of 10.8%; the Museum of the History of Science welcomed 190,000 people, a rise of 11.8%; while the Botanic Garden – which celebrates its 400th anniversary in 2021 – increased numbers by 23.5% to 144,000. The record-breaking year has been driven by the University’s first joint marketing campaign, which resulted in a 14% increase in visitor numbers during the spring and a 19% increase over the summer. The campaign celebrates the ‘mindgrowing’ nature of the University’s museums, libraries and gardens – encouraging visitors to go on a journey of discovery through culture, science and natural history and to explore the beautiful city of Oxford by roaming from site to site. The growth was also enhanced by a range of hugely popular and critically acclaimed exhibitions, including Raphael: The Drawings at the Ashmolean, which won Apollo Magazine’s Exhibition of the Year 2017 award, and Brain Diaries at the Museum of Natural History, which attracted over 160,000 visitors. ‘I’m delighted that so many visitors are enjoying our rich and fascinating collections,’ said Professor Anne Trefethen, Pro-Vice-Chancellor for Oxford University’s Gardens, Libraries and Museums. ‘Oxford has so much to offer – whatever your age and interests. And the fact that most of our venues are free and located so close together means you can easily explore two or three in a single day. 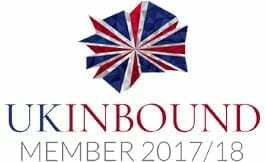 2018 will be another exciting year for Oxford, with a range of fascinating exhibitions and associated events. The Bodleian is currently celebrating the achievements of women who dared to do the unexpected in From Sappho to Suffrage. Lord of the Rings fans will be treated to an exhibition exploring the full breadth of Tolkien’s unique literary imagination in Tolkien: Maker of Middle-earth at the Weston Library from 1 June. Settlers, which runs until 16 September at the Museum of Natural History, tells the dynamic story of Britain’s ever-changing population through genetics, archaeology, language and demography; while America’s Cool Modernism: O’Keefe to Hopper, which opens on 23 March at the Ashmolean, will explore the ‘cool’ in early 20th-century American art. For more information, images, or to request an interview, please contact Matt Pickles in the University’s News and Information Office on matt.pickles@admin.ox.ac.uk or 01865 280532. Oxford University’s four museums are home to over 8.5 million objects and specimens representing the natural world, global art and artefacts: the Ashmolean is the first public museum in Britain and its collections include the most important group of Raphael drawings in the world; the Museum of the History of Science – housed in the world’s oldest surviving purpose-built museum building – contains the world’s finest collection of historic scientific instruments; the Museum of Natural History holds the University’s internationally significant collections of 7 million geological and zoological specimens, including the fossil bones of the first dinosaur ever to be described scientifically; and the Pitt Rivers houses one of the world’s finest collections of anthropology and archaeology, with objects from every continent and from throughout human history. The Bodleian is one of the oldest libraries in Europe and, with over 13 million printed items, is second only in size to the British Library in Britain. The Botanic Garden is the oldest botanic garden in Britain and forms the most compact yet diverse collection of plants in the world. Harcourt Arboretum – a 130-acre site close to Oxford – contains some of the oldest redwoods in the UK and one of the best bluebell woods in Oxfordshire. ALVA’s members are the UK’s most popular and important museums, galleries, palaces, castles, cathedrals, zoos, historic houses, heritage sites, gardens and leisure attractions. The 66 ALVA members manage some nearly 2,200 tourist sites and welcome over 119 million domestic and overseas visitors each year; some 28% of the visits made annually in the United Kingdom.